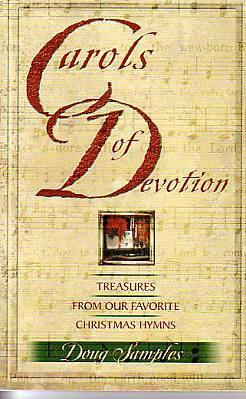 This Christmas devotional book draws thoughtful meditations from the significant phrases found in our favorite Christmas hymns. The season goes by quickly, and with many wonderful carols to sing, we often don&#8217;t have enough time to sing them more than once. Too often we are in a &#8217;fast forward&#8217; mode for the holidays and we miss out on the richness contained in the songs. But tucked away in each of these carols is a beautiful phrase (sometimes hiding in the 3rd or 4th verse) that conveys the love of a savior who came as a baby in a manger. This book gives readers the chance to sit down by the fire and unwrap these hidden Christmas treasures. Each phrase will open up new venues to reflect on the glories of the season.